Get your FREE PATTERN and see how to make this adorable little skirt in TWO variations! Go to the SHOP and look in the ‘Free Patterns’ shop section. There are numerous ways to use the Duckie Skirt pattern, here you can see two cute and easy options. 1/ Little Duck appliqué: simple easy appliqué with ric-rac braid border. 2/ Button Flower embroidery: so easy to make, all you need are some colourful, small buttons and two ric-rac braids to make a border. 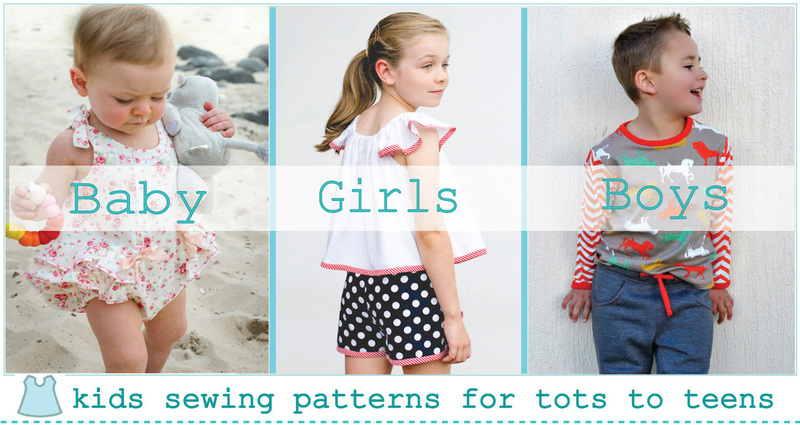 You can add your own ideas to this basic pattern style to make a special skirt for a little girl. Sizes from 6 months to 8 years. Check the size charts for your child’s correct size. Pattern comes in sizes 0, 1, 2, 3, 4, 5, 6, 8. Fabric length is based on a cloth width of 112cm or 45 inches. The elastic lengths for all sizes are listed on the pattern. Check that you have all the pieces for the applique. Cut out the skirt back and front pieces. Gather together all the parts required; see below for applique parts. Ric Rac braid, elastic for the waist and matching all purpose sewing thread for fabric, braid and applique. Fabric for the appliqué: you need an 18 x 13cm or 6”x 5” piece of bright yellow cotton homespun or drill and a tiny scrap of orange for the beak; adhesive appliqué backing like Vliesofix to fit the yellow fabric; a small length of bright ribbon for the bow and a small goggle eye or black button for the eye. Matching thread for stitching applique. 1/ Fuse the adhesive backing to the back of the yellow fabric and the beak scrap, place this between some tissue paper to protect your iron from the sticky adhesive. 2/ Cut out the duck template and trace it onto the paper backing. Note: the appliqué will be the reverse way round when you apply it to the skirt. 3/ Peel the paper backing off the duck shape. Position the ric-rac and the shapes onto the front skirt remembering to allow for the hem turning. The duck looks best placed off center. 4/ Use a pin to hold in place till you are ready to fuse. Fuse the main duck shape first and then the beak. Use paper to protect the iron. 5/ Set the stitch on your machine; you can use a small width zigzag or a satin stitch or your machine might have more options. I used a zigzag stitch set at a small stitch width and short length so the stitches are not too wide and very closely spaced but the effect is not as heavy as satin stitch. The stitching should stay within the edge of the appliqué piece so you get a smooth outline. Use matching thread. For a neat finish pull the threads through to the underside and tie off. 6/ Tie a small ribbon bow and hand stitch to the neck, stick or stitch the eye in place. Finished! 1/ Sew one side seam together, overlock and press. Pin the ric-rac braid in place just below the duck and sew it on with a large zigzag stitch using matching thread. No Overlocker? Just use the zig-zag stitch on your plain machine to finish the seam edges. 2/ Overlock the hem edge and press the 12mm / ½” hem allowance under. Press the top edge under, double fold in 1cm / 3/8” then 2.5cm / 1” to form the elastic casing channel, do not stitch down at this stage. 3/ Sew the remaining side seam from top edge to hem edge, overlock and press. 4/ Re-press the hem and casing turnings where needed. Top stitch the hem and the edge of the turned in casing leaving a small gap to insert the elastic near one side seam. 5/ Cut the elastic to the right length for your size; lengths are marked on the pattern. Use a large safety pin to insert the elastic, sew the ends together securely and stitch the gap closed. Finished! Finished! One cute and easy little skirt. For the Button Flower you need some small buttons in colors suitable for a flower and leaves. I used 16 buttons in the flower plus the center large button and 6 buttons for the leaves. I had some butterfly shaped buttons which I added. If you are making a very small size, use smaller buttons, my sample is a size 4. My skirt is in pin-wale corduroy which is ideal for the button embroidery. You will need a medium weight fabric like drill or denim preferably. Two rows of bright ric-rac braid in different widths and colors. See the fabric chart at the top of this tutorial for the length required for each row. The flower stem is also in ric-rac so add a few inches to the length for this. OPTION: If you do not want to do the button flower, an easier option is to simply sew several colorful rows of braid around the skirt. You can do from 3 to 6 rows using different colors, sizes and types of braid to get a very striking effect. 1/ Prepare the skirt; cut out the skirt front and back. 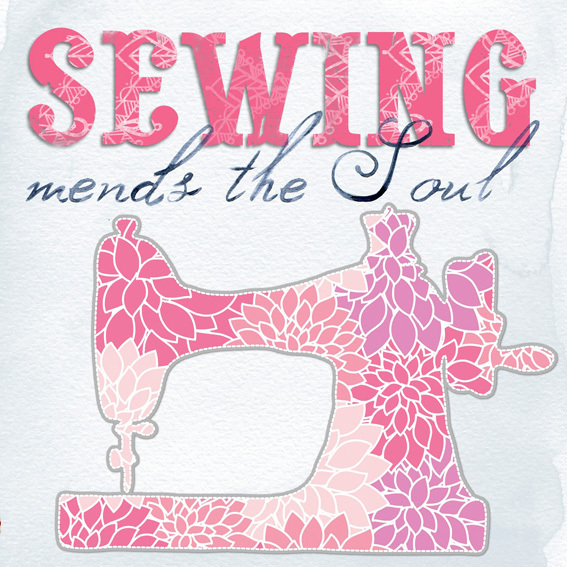 Sew one side seam, overlock and press. Overlock the hem edge and press the hem allowance under. Press the double turned top edge casing allowance under but do not stitch anything down at this stage. 2/ Lay the skirt out flat and position the rows of ric-rac braid in place above the hem. Cut a length of ric-rac for the stem about 12cm / 4.3/4” long. The flower looks best when placed in the center of the skirt front, so pin the stem in place so that the bottom edge is covered by the top ric-rac row. You will need to adjust the stem length a little for larger and small sizes. 3/ Stitch the rows of braid and the stem in place with a zigzag stitch using matching thread for each colour. 4/ Lay out the flower buttons; you can see from the photo how I did mine. You will need to use flat 2 or 4 hole buttons. Once I had the layout right I used craft glue to stick the buttons in place. This makes the stitching process so much easier but you must take care to use only a small amount of glue on each button and to not spot the fabric with glue. Put it aside for an hour or two for the glue to dry. If you don’t have glue use a chalk pencil to mark the center of each button. 5/ Gather up some matching thread, a needle and clippers, make a cup of coffee, put on your favorite music and sit down and sew each button on. 6/ All you need to do now is finish stitching the skirt. Sew the remaining side seam, stitch the hem and casing, insert the elastic and it’s Finished! For sewing details to finish the skirt see the above tutorial for the Duckie Skirt.